When I think of fall, I think of all things pumpkin. Pumpkin lattes, apple cider, pumpkin donuts, mulled wine, pumpkin bread, pumpkin chai . . . We’re getting basic over here. In honor of the first weekend of October, I whipped up a batch of pumpkin scones. Using real pumpkin, egg whites, less butter and unsweetened almond milk, the scones are lightened up. Sprinkled with cinnamon sugar rather than slathered with frosting, the scones keep all of the flavor. 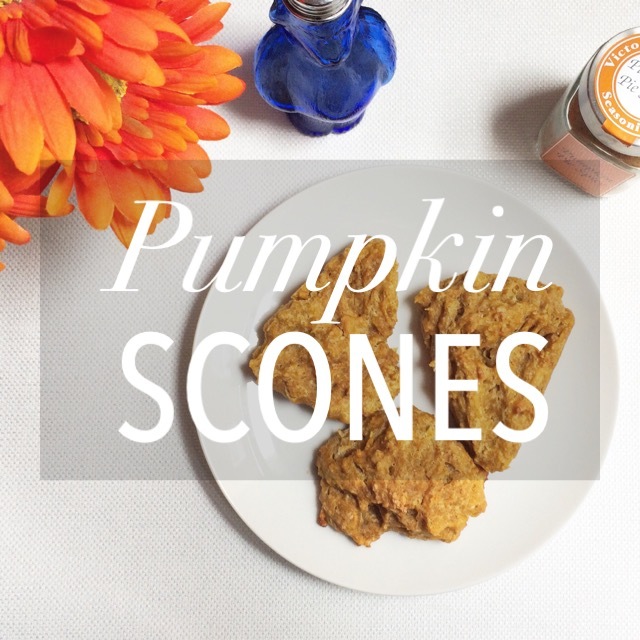 These Pumpkin Scones will make your kitchen smell heavenly. Happy September!! I’m still in denial. It was just yesterday I was at a Third Eye Blind concert with my friend, Steph. It was mid-June and naturally we were complaining summer was “already gone” in that way you complain about how bad your hair looks when you know you look like a bombshell. Complaining to complain because we knew we had that reassurance of July’s and August’s hot and sunny days ahead. Now we have a right to actually complain since it’s literally September, but on the bright side, you know all know what that means — it’s oatmeal season!!! Who’s excited?! I woke up this morning to a cool enough breeze that I needed a long sleeve shirt to sip on my morning cup of pumpkin spice coffee. (If you can’t tell, I’m really embracing this weather change…) With zucchini season coming to a close now, it’s that late summer vegetable that you have so much you never know what to do with it. 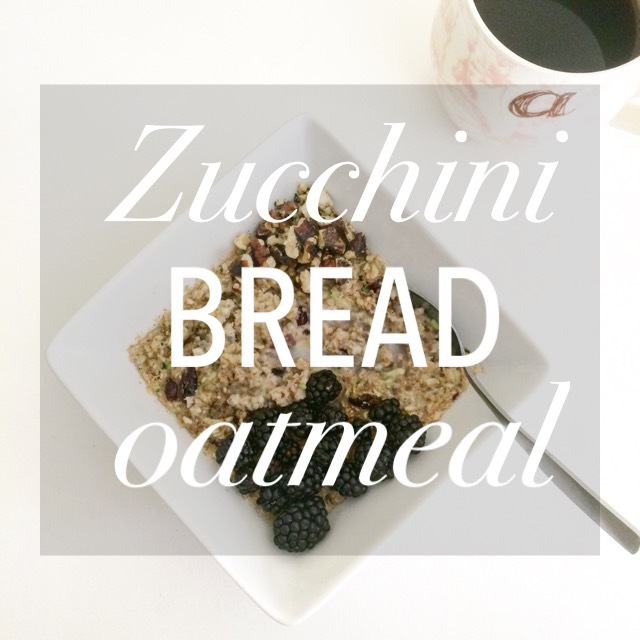 I decided Zucchini Bread Oatmeal would be the perfect outlet. You’d never know you’re consuming zucchini in this sweet breakfast of nutmeg and cinnamon, plump raisins and walnuts for texture.